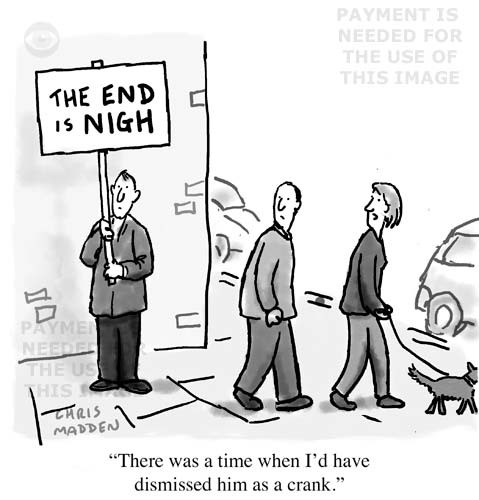 A cartoon showing a man with an “End is Nigh” placard. A passing woman is saying “There was a time when I’d have dismissed him as a crank”. A cartoon about the current feeling of pessimism about the state of the world and about its future. This could refer to climate change, global warming, or the election of Donald Trump as president of the USA!